(CBS News) Could two cups of coffee a day keep the heart doctor away? 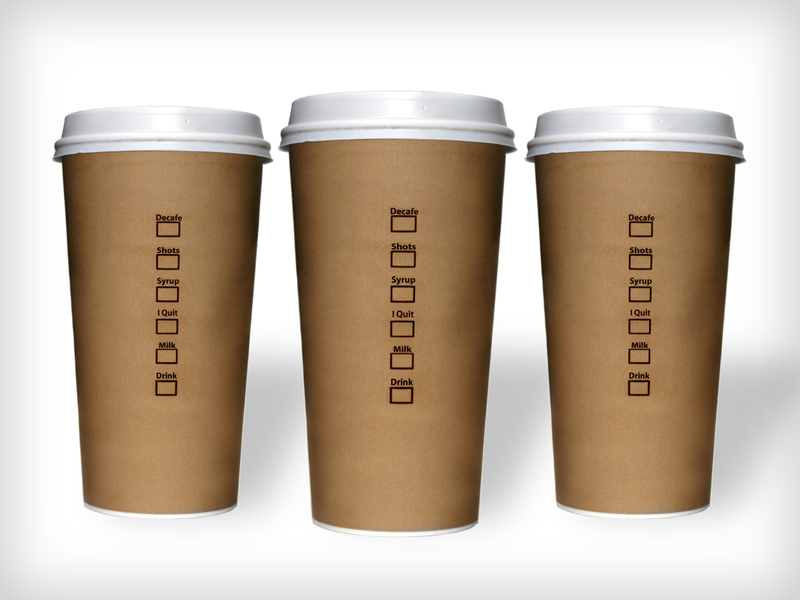 A new study shows that your daily cup of joe might provide that health benefit. The study, published in Circulation Heart Failure, shows that, to a point, moderate coffee drinking may significantly lower the risk of heart failure. But don't overdo it - the study also found excessive coffee drinking may increase the chance of getting major heart problems. "While there is a commonly held belief that regular coffee consumption may be dangerous to heart health, our research suggests that the opposite may be true," said senior study author Dr. Murray Mittleman, director of the Cardiovascular Epidemiology Research Unit at Beth Israel Deaconess Medical Center in Boston, in a press release. Heart failure occurs when the heart can no longer pump blood to the rest of the body and its most commonly caused by coronary artery disease, a narrowing of the blood vessels that provide oxygen and blood to the heart. Looking at five studies of coffee consumption in Sweden and Finland that involved 140,200 people and 6,522 heart failure events, researchers determined that four northern European servings of coffee a day - about two commercial 8-ounce cups of coffee in the U.S. - helped prevent heart failure by 11 percent. But, when people consumed 10 northern European servings of coffee daily - about four to five average U.S. cups of coffee - the opposite effect was observed. The strength of the brew was not accounted for, but typically European coffee is stronger than coffee consumed in the U.S. Also, there was no indication whether the subjects were drinking caffeinated or decaffeinated drinks, though most of the coffee that's consumed in the study areas tend to contain caffeine. Currently, the American Heart Association says that people who have had heart problems shouldn't drink more than one or two cups of caffeinated beverages a day. The study authors hope this new evidence may change that. "This is good news for coffee drinkers, of course, but it also may warrant changes to the current heart failure prevention guidelines, which suggest that coffee drinking may be risky for heart patients," Elizabeth Mostofsky, lead study author and research fellow at Beth Israel, said in the press release." It now appears that a couple of cups of coffee per day may actually help protect against heart failure." While the study didn't look at why drinking coffee may provide health benefits, it has been proven that coffee drinkers increased tolerance to caffeine may put them at a decreased risk of developing high blood pressure as well as a lower risk of type 2 diabetes. "Diabetes and hypertension are among the most important risk factors for heart failure, so it stands to reason that reducing one's odds of developing either of them, in turn, reduces one's chance of heart failure," Mittleman said in the press release. HealthPopreported in May on a study of 400,000 people that found men who drank two to three cups of coffee each day were 10 percent likely to die at any age from any cause and women were 13 percent less likely to die, compared with their coffee-free counterparts.